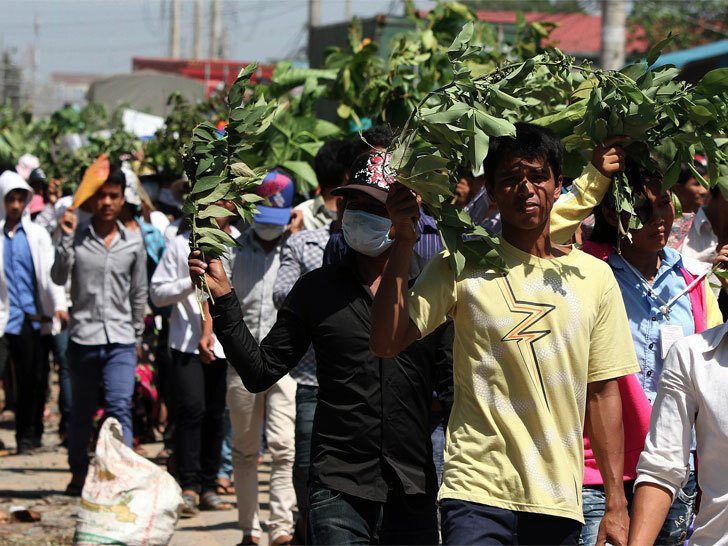 More than 5,000 Cambodian garment workers failed to reach an agreement with their employers on Tuesday after 11 days of striking. Negotiations between the Coalition of Cambodia Apparel Workers Democratic Union and Singapore-owned SL Garment Processing broke down after workers rejected offers they regarded as less than satisfactory. Employees at the facility receive a base pay of $61 a month, which requires them to toil eight hours a day, six days a week. Workers are demanding a $5 pay rise, plus another $25 per month to cover transportation and housing costs. “We will not stop our strike until our problems are solved,” said Teng Ry, one of thousands picketing on the outskirts of Phnom Penh, told the Associated Press. Employees are regularly denied sick leave and ordered to work up to 16-hour shifts. Employees, he said, are regularly denied sick leave and ordered to work up to 16-hour shifts, including on days off. 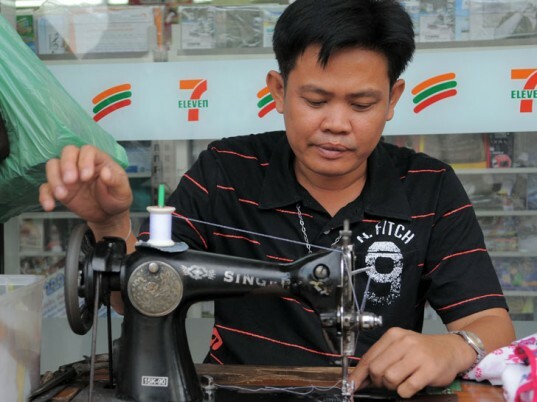 Although long shifts are compensated with overtime pay, SL Garment Processing was breaking Cambodian labor laws by forcing employees to work against their will, he added. The factory is still operating, albeit with a skeleton staff. According to its website, the garment factory supplies clothing to more than two dozen international brands, including J.Crew, Old Navy, Gap, Banana Republic, H&M, and Levi’s. Another Cambodian factory strike workers making Victoria Secrets underwear at $60 a month also wanting better wages working conditions. There is a way to encuorage governments like the one in Cambodia to reduce poverty and increase access to justice. From a European point of view, that is. Increase import tariffs on goods from countries that don't have a welfare state. Reduce import tariffs on countries that do. Work-out a sliding scale and adjust tariffs each year. Within a few years, governments like the ones in Pnom Pen or Karachi would suddenly be converted!